After years of running neck and neck with Oasis in the Brit pop sweepstakes, last year Blur's opponents took a significant lead in worldwide popularity. Which is hard to believe, because Blur is certainly a more original band, and probably just plain better, too. But instead of complaining, Blur has taken the opportunity to reinvent themselves yet again. The band claims that the new album is something they just threw together, but while the whole thing has a definitely more thrown together feel than past albums, it is obviously well planned by some brilliant pop minds. 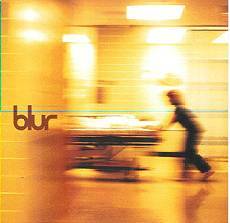 The main change of focus on the album is that for the first time, Blur doesn't necessarily sound British, which was an integral part of their feel even as it limited their commercial appeal outside of England.